Spellbound: Starring Carlton & Company and The PenDragons. I am finally going to post this! My first professional gig as a Professional Dancer. This production has been viewed in 55 Countries in the World since I uploaded it. 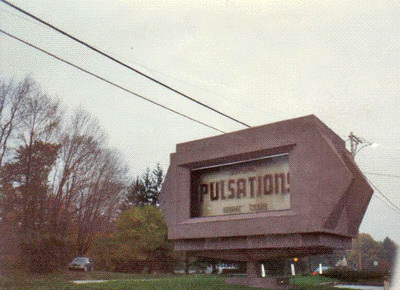 My first gig as a Professional dancer was at The Encore Dinner Theater in 1984, Production Spellbound, in Glenn Mills, PA.
After the last performance at 10 pm, it would one hour later, turn into Pulsations Nightclub. The Pulsations Dancers would then perform. Remembering Drive by the Cars as Rex, who is a Senior Lecturer, Theater Arts, @ The University of the Arts, Philadelphia, choreographed a production that will forever live in my mind. They used the same stage as the Spellbound Dancers. The Encore Dinner theater held 850 people for dinner. Pulsations, well lets say there was reckless abandonment. At midnight the spaceship would make its way from the ceiling in this 3-story nightclub and land on the dance floor. The robot, Pulsar was in a glass enclosed chamber. The robot would come out, talk, and interact with the crowd. The pumping bass speakers, risers, and state of the art lighting were never duplicated at any nightclub I have ever hung out in. When you are a professional dancer and it off time, enter a nightclub, look out dance floor. Canada to Bermuda, Las Vegas to New Orleans, Norway to Denmark, The City of Angels to New York City. St. Thomas to Puerto Rico. You name it, was cutting edge in the after dark industry, way ahead of its time. Thanks to Barry, Hey, where are you now Barry? You left Taylors in Cherry Hill, to go to Philly, Egypt or Shampoo Maybe, lost tract of your expertise. I do not want to sound redundant, it was the best club in Philly area bar none!